If you played an RPG prior to 2004 chances are good you remember an age where character equipment played a very different role than it does today. 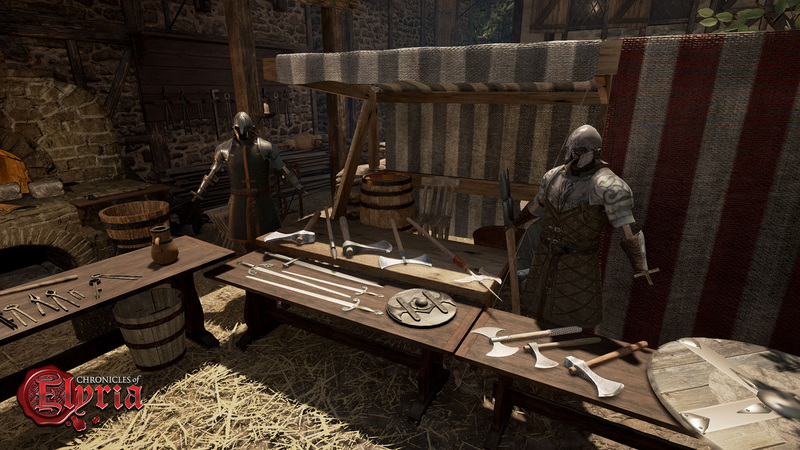 Equipment was primarily used for damage mitigation, to determine whether your character was melee, ranged, or reach, to identify which types of armor your weapons were effective against, and to balance the game with constraints such as whether or not you could use magic effectively while wielding your weapons or wearing your armor. It wasn’t until World of Warcraft, which borrowed heavily from the random loot table and ever-increasing character stats of the Diablo franchise, that we began to see the grind for bigger and better weapons in RPGs. But, one of the side-effects of World of Warcraft that’s not often talked about is the disassociation between what NPCs and PC look like and what they’re actually carrying. Because it’s difficult to have NPCs actually use all the items on their loot table, we got accustomed to a world in which NPCs used or wore one set of items, while rewarded us with a completely different set of items. Likewise, with no house to store things in WoW introduced the “near infinite” inventory system, which makes it impossible to accurately determine what a PC is carrying. In this week’s design journal we’re going to take a look at the CoE equipment and inventory systems. We’ll talk about our innovative new layering and constraint system which provides for different types of character customization while still making it clear what type of character (PC or NPC) you’re facing. Then we’ll talk about how different types of equipment affect your Survival stats. Finally, we’ll talk about how an innovative new Container system allows CoE to provide an extremely limited inventory, while still feeling natural and intuitive. Chronicles of Elyria uses a system of "What You See Is What You Get." This has a couple meanings within the scope of the game. First, it means that when looting something or someone you’ll find exactly what you could see. Nothing more, and nothing less. This is true whether it's another player or an NPC. You won't attack an NPC wielding some powerful magic weapon, only to loot his body and find a different powerful weapon, several, or none. If you could see it, you can loot it. If you didn’t see it or they didn't use it, you likely won't find it. It's also true when attacking animals. You won't kill a giant brown bear and loot a pair of chain boots. You'd get hide, meat, bones, and maybe some teeth or claws. The other important aspect of WYSIWYG is that you can evaluate characters encountered in the wild based on what they're wearing. Because there are no nameplates over NPCs or animals that show their relative level, it'll be up to you to determine if you're up for the challenge. One of the ways you can do that is by glancing at the gear someone is wearing. If you see someone approaching you on the road in a shirt and pants, leather jacket, and no visible weapon, they're likely to be of little risk to you. On the other hand, if someone approaches wearing a studded leather vest, a rapier, and an off-hand dagger, chances are good they know how to use them. Chronicles of Elyria has many different types of wearable equipment. One of the things that makes CoE unique is the way in which it allows or disallows different types of equipment in order to encourage different play styles. As you can see from the equipment list above, different slots can often equip several different types of items. However, the type of item equippable is often constrained by what else is equipped. For example, hands can have either gauntlets, gloves, or rings, but it is not possible to have all three simultaneously. Furthermore, gauntlets act as both arm and hand items. So if you equip a gauntlet, you fill both item slots. In addition to the above, the head can have many different things, but if you equip a coif, you can’t wear anything on the neck. Likewise, if you equip a hooded cloak, you can’t put anything on your head. While these combinations may seem arbitrary at first, they serve to identify purpose and functionality. Someone wearing a hooded cloak is likely trying to conceal their identity - not something generally done with a helmet. However, a mask and hooded cloak is completely - acceptable? 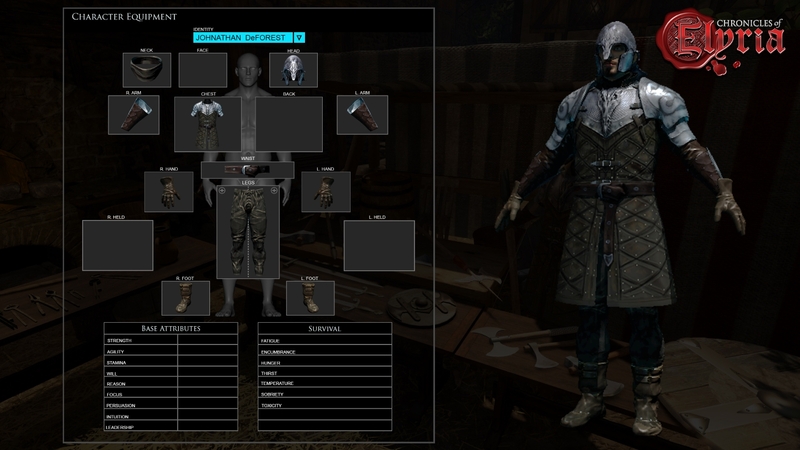 In order to customize characters to deal with different climates and occupations, CoE uses a unique layering system for equipment. Certain body parts have the ability to contain multiple different pieces of equipment simultaneously. There are two item slots which have multiple layers. These are the torso and the legs. Depending on what you put in a lower level layer, it may limit what you can put in a higher layer. Torso: The torso is divided up into three layers. Layer one contains shirts, blouses, and dresses. Layer two contains jackets, jerkins, tunics, doublets, vests, and some chain shirts. Layer three contains robes or mail. In this way, it's possible to be wearing a shirt, leather jerkin, and half-plate mail armor all at the same time. It is not, however, possible to put that all under a robe. Legs: The legs are divided up into two layers. Layer one contains either trousers or garters. Layer two contains either armor, a skirt, or a kilt. This system allows a woman to wear a garter underneath a skirt. Likewise, it allows a male to wear trousers with armor over top. Note, it's not possible to wear garters and armor. Sorry ladies. Armor on the bottom half always looks like trousers or a skirt. No chain bikinis. Chronicles of Elyria is unquestionably a survival game. It's designed to make people think about the actions they take in the wild in order to guarantee their survival. The equipment a character has on effects them in many unique ways, completely aside from the obvious need to carry food and water. Up to some maximum amount of weight your character can walk all day without getting tired. But go beyond that and your character will begin to become fatigued. The more weight your character is carrying, the quicker you’ll be forced to rest. Some types of armor may slow your run speed down to a sort of canter and will cause you to become fatigued more quickly while running. The heaviest armor will cause you to become fatigued more quickly while sprinting, or may prevent sprinting altogether. Players are also effected by the equipment they wear and the current temperature. If it's exceptionally cold out, players would be wise to bundle up with a jacket over their shirt. If it's extremely cold out, they may even consider wearing a cape or cloak to keep warm. The opposite is also true. If it's extremely hot out, wearing multiple layers of clothing, or metal armor could cause you to overheat. On a clear day the weather, aside from the temperature, will have little impact on your overall comfort. However, if it's raining out, windy, or foggy, it will have an impact on your rate of movement. Likewise, if there's snow on the ground, or you're trudging along through a muddy swamp, you could become encumbered. The heavier your armor, the more difficult the muddy ground will be to navigate. Heavy armor sinks. I think that's really all that needs to be said on that. Failure to appreciate the laws of fluid dynamics and gravity could result in permadeath. In Chronicles of Elyria, one size does not fit all. In fact, the same size may not even fit the opposite gender. In CoE, there's gender-neutral equipment, equipment for men and women, and equipment for the small, medium, and large. Wearing equipment too big for you will make it less effective, and wearing equipment too small may be impossible. Of course, this can be remedied by taking it to an appropriate craftsman and having it resized. C'mon villagers, never say we didn't do our best to keep you in business! One of the things that may strike people as odd at first is the extremely limited inventory in Chronicles of Elyria. Initially, this went back to what we said before about WYSIWYG. If you can’t see it, it shouldn’t be there. But beyond that, limited inventory again creates not only opportunities for dramatic storytelling, but also dedicated Gatherers. It costs money to effectively tow the day's haul from the mines back to town. By requiring people to invest in pack animals, carts, wagons, and other means of transportation, it forces them to decide whether it's worth the investment, or whether it's better just to pay someone to do it for you. As we talked about earlier your character's equipment has multiple slots for storing boots, backpacks, bracers, belts, etc... What we didn't mention before is that experienced leather workers, tailors, and blacksmiths can craft items which provide additional storage in the form of pouches, pockets, purses and hidden compartments. Chronicles of Elyria uses a weight and volume system for all containers. While we do use a grid system within a container to help keep stuff organized, the number of slots are infinite up to the maximum volume or weight limit for the container. In this way, you can continue to put in a ton of small items without running out of space to put them. It's also important to note that our grid system uses multiple grid slots for different size items. This is mostly to help users understand the relative size of objects, to be able to estimate volume quickly without having to hover over an item, and to help quickly locate items of different types. The important thing to understand though is that you can't put additional items into a container that would go over either the weight or volume limit. In next week’s design journal we’re going to revisit hooded cloaks and equipment as we talk about identities, disguises, and reputation. Rereading this was so very worth while. (huge grin) no chain  huh  no, but that was a good idea I'm sure! I like the idea of cloaks, might be a good idea to wear as a craftsman just so a would be killer doesn't know if you have anything worth stealing. As others have mentioned: The ability to wear rings under larger gloves or over thinner gloves? These are all thing that are regularly done in real life. Though, with this being a game, I totally understand if things are different. Anyway, keep up the awesome work =] I look forward to the next journal! As others have mentioned: The ability to wear rings under larger gloves or over thinner gloves? Can a small pack be worn under a cloak/cape? (To protect it from rain for example) Will it be possible to wear ear-warmers or a stocking cap under a hooded cloak/cape? (When it's blustering and snowing a person usually wears a hat and then also puts up the hood on their jacket.) These are all thing that are regularly done in real life. Though, with this being a game, I totally understand if things are different. Anyway, keep up the awesome work =] I look forward to the next journal! Good stuff. My only issue is with rings etc. Rings were/are often worn beneath gloves and, presumably, gauntlets. In fact one of the reasons "Ladies" wore long gloves was to hide the rings and bracelets they may be wearing. Same for high necked collars. 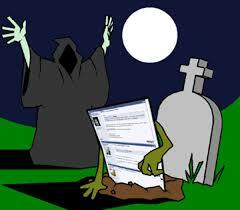 As for not being able to wear a cap under a hooded cloak, same thing. Granted, you shouldn't be able to wear a Great Helm under a cloak but a leather coif or cap, even a light chain one, wouldn't be out of the ordinary. Perhaps there should be a separate group of slots for Jewelry? Good stuff. My only issue is with rings etc. Rings were/are often worn beneath gloves and, presumably, gauntlets. In fact one of the reasons "Ladies" wore long gloves was to hide the rings and bracelets they may be wearing. Same for high necked collars. As for not being able to wear a cap under a hooded cloak, same thing. Granted, you shouldn't be able to wear a Great Helm under a cloak but a leather coif or cap, even a light chain one, wouldn't be out of the ordinary. Perhaps there should be a separate group of slots for Jewelry? Love it, only missing a spot for shoulder armor ? Are is thet together whit your chest ? Could be interesting times, you could wear weapons that you arnt skilled in, to stop yourself getting attacked? I really hope the carrying capacity is based on skills rather than a blanket amount. A warrior should be able to carry heavier loads than a scribe or noble. Now if you look at the Dev Journal you will see a 'very' limited amount of space in your bag. So whether you are a noble or warior the amount of space is based on volume so they will be able to carry the same amount of items, just not the same weight. I feel pack animals will be huge benifit in the game. You have a choice, stay at home or in town and not carry much, or get a animal or two to carry your burden as you venture out. And I would assume that you could use a Cloak And a Pack. I don't see them forcing you to leave your entire inventory at home just to wear your cloak. To me that wouldn't make much sense. I really hope the carrying capacity is based on skills rather than a blanket amount. A warrior should be able to carry heavier loads than a scribe or noble. Now if you look at the Dev Journal you will see a 'very' limited amount of space in your bag. So whether you are a noble or warior the amount of space is based on volume so they will be able to carry the same amount of items, just not the same weight. I feel pack animals will be huge benifit in the game. You have a choice, stay at home or in town and not carry much, or get a animal or two to carry your burden as you venture out. And I would assume that you could use a Cloak And a Pack. I don't see them forcing you to leave your entire inventory at home just to wear your cloak. To me that wouldn't make much sense. Love it. This system will feel right. Will carrying a "heavy" bag a lot will it eventually seem less heavy to your character and the weight you can carry increase? Will baskets, bags, and the like be possible to carry in your hands? Say I'm gathering plants- realistically, I should be able to put them all in a basket to carry with me back to a wagon or another container. Seems a given, but it wasn't specifically mentioned. Will baskets, bags, and the like be possible to carry in your hands? Say I'm gathering plants- realistically, I should be able to put them all in a basket to carry with me back to a wagon or another container. Seems a given, but it wasn't specifically mentioned. Yes! Finally a game where it is acknowledged that a shirt and a jacket together is not one piece of clothing! Yes! Finally a game where it is acknowledged that a shirt and a jacket together is not one piece of clothing! hurrah! While I know that this is just a placeholder for the game's menus, I truly hope they won't look anything close to this. The way the menus look now remind me of Skyrim, and Skyrim was an extremely bland game, no matter how fun and addicting. This is close to a system I made almost 2 years ago. As I said close, with layers and such. Of course I love it.. keep up the good work.. This is close to a system I made almost 2 years ago. As I said close, with layers and such. Of course I love it.. keep up the good work.. Looks good.! Istant permadeath for drowning in heavy armor looks to me as a too simple way to solve the thing. I get that if you fall into deep water while you're wearing a metal plate you sink, die, and even if you succeed spirit walking you're still on the bottom of the sea and you won't be able to breath again. And this may be fine, but so would happen if a leather dressed character dies out of the sea and is thrown into the water: by the time he would end spirit walking he could find himself unable to reach the surface in time. For this reason i won't suggest an automatic permadeath, give the chance to the dead person to stay in the loop and maybe recieve help from someone else. Recovering someone from the water could be possible if he's light armored, and maybe even an heavy armored guy depending on how much powerful you want to be magic in the game. 2) I have yet to see how limited is this inventory space. But this issue can be very sensitive. How many games have I quit because you can carry only 6 items (Age of Conan as an example). There is different types of players and combination of styles, the tinkerers, the explorers, the adventurers to mention a few. Personally I am a bit of all, but focus a lot on tinkering. Well you need room to have your items to work with. Going in the wild and gathering 2 plants and 3 pieces of bones, or killing a couple "NPCs" with loot and having to come back to town each time because of the lack of room in inventory is a major turn off. 3) If I play a small character will I be EVEN MORE penalized by the weight I can carry? (logical) Thus having even less of a choice of tinkering items on me (example can not make heavy armors, it is too heavy for me to carry it). I usually play small characters, but if this will penalize me for tinkering, then I will be FORCED to make a character of an other size. I have a feeling the game would be invaded by large size characters. I TRULY LOVE THIS: "By requiring people to invest in pack animals, carts, wagons, and other means of transportation, it forces them to decide whether it's worth the investment, or whether it's better just to pay someone to do it for you." In sum: Just make sure that the initial inventory holding is not EXTREMELY limited, perhaps allow 12 or 16 items IF weight allows of course, not just 6 (as an example). Keep up the great work...uh no... the AMAZING work! Very nice work indeed!! I follow each News letter closely and am eager to play this game. If I may say, as an experienced DM (WoW,D&D), as well as player in multiple online RPGs, and graduated student at Ubisoft in game level design, there is a couple things that I would like to mention. Please take this as constructive suggestion, and not a put down :) 1) I do not understand why one character can not wear a ring under the gauntlet (as an example). The choice of ring or glove, seems a bit exaggerated. I understand if you can only chose between glove or gauntlet, but a small piece of jewelry under a leather gauntlet? In the same way, I should be able to have a backpack under or over my cloak... 2) I have yet to see how limited is this inventory space. But this issue can be very sensitive. How many games have I quit because you can carry only 6 items (Age of Conan as an example). There is different types of players and combination of styles, the tinkerers, the explorers, the adventurers to mention a few. Personally I am a bit of all, but focus a lot on tinkering. Well you need room to have your items to work with. Going in the wild and gathering 2 plants and 3 pieces of bones, or killing a couple "NPCs" with loot and having to come back to town each time because of the lack of room in inventory is a major turn off. 3) If I play a small character will I be EVEN MORE penalized by the weight I can carry? (logical) Thus having even less of a choice of tinkering items on me (example can not make heavy armors, it is too heavy for me to carry it). I usually play small characters, but if this will penalize me for tinkering, then I will be FORCED to make a character of an other size. I have a feeling the game would be invaded by large size characters. I TRULY LOVE THIS: "By requiring people to invest in pack animals, carts, wagons, and other means of transportation, it forces them to decide whether it's worth the investment, or whether it's better just to pay someone to do it for you." I already see myself working hard to gather enough money to buy a mule haha In sum: Just make sure that the initial inventory holding is not EXTREMELY limited, perhaps allow 12 or 16 items IF weight allows of course, not just 6 (as an example). Keep up the great work...uh no... the AMAZING work! i'm completely amazed with the details you guys are putting in this game. last year i spent some days talking to a friend about the perfect game and what it should have. and i can say, it is CoE, it is really CoE. thank you for providing me such joy :D and keep up the good work becouse i really want to play. Hi - You are really doing a great job, Soulbound team! Were the layered options for torso and legs only an example or will they be implemented for other slots? For example will I be able to wear my traveling cape and a bag/satchel/backpack? Hi - You are really doing a great job, Soulbound team! Were the layered options for torso and legs only an example or will they be implemented for other slots? For example will I be able to wear my traveling cape and a bag/satchel/backpack? I was wondering this as well. Maybe wearing a light suit of mail in the rain wouldn't be as bad with a water proof cloak but if i had to give up my backpack it would make it a hard choice. Another aspect of equipment that you didn't seem to touch on. If I'm an explorer but I also want to be able to gather a good amount of the materials I pass I'll have a backpack. Now since I'm always out and about will I need a waterproof cloak or waterproof pack to keep my items from degrading? Will the rain affect my armor durability if it's not water proofed or covered? Finally will there be individual mounts with additional inventory spacing in their saddle bags, or will a cart with horses be the only way to have additional inventory as you travel? I can't wait to be running from some heavy armored guys then make a daring escape by swimming though a river!! 1 : Will the concept of volume and weight be applied to gold/silver? For example, if my backpack is full of silver would this affect my weight etc? 2 : If we have expert craftsmen make hidden compartments in our gear, would these be immediately visible if we were to be looted or would they need to "check" for hidden compartments to find them? 3 : Will killing animals automatically drop the goods or will Players need skills like skinning, butchering, etc to harvest the corpse of their kill (or drag corpse to a player with such skills)? And if yes, would different skill levels would return different yields? Three questions on this topic: #1 : Will the concept of volume and weight be applied to gold/silver? For example, if my backpack is full of silver would this affect my weight etc? #2 : If we have expert craftsmen make hidden compartments in our gear, would these be immediately visible if we were to be looted or would they need to "check" for hidden compartments to find them? #3 : Will killing animals automatically drop the goods or will Players need skills like skinning, butchering, etc to harvest the corpse of their kill (or drag corpse to a player with such skills)? And if yes, would different skill levels would return different yields? IE: 70% of the backpack weight goes through to you, so you can carry an extra 30% of wood in your arms. 2: - Quick looting will only be what you can see. A sword in the hand or scabbard, dagger. Anything else loose and not tied down. You will not be able to loot a belt or find hidden compartments in a quick loot. Quick Looting only while in-capped, cannot do inventory looting. Full loot will be on permadeath, then everything/anything you possessed is fair game to those that find it. Note: Coup De Gra is not perma-death, unless you are on the last tethers of your souls life. 3: Whip out that dagger and start butchering. If you have a cart then hope you have the strength to drag it onto the cart for bringing back to town for the butchers... I imagine levels will yeild different amounts. Low level you are likely to mess up skinning the bear and ruin a good chunk of the leather. Higher levels you skin it better etc. 1: The weight of items in your bags / pockets etc. and what you carry all add up. However I hope that what is in your backpack is offset in some fashion, IE: 70% of the backpack weight goes through to you, so you can carry an extra 30% of wood in your arms. 2: - Quick looting will only be what you can see. A sword in the hand or scabbard, dagger. Anything else loose and not tied down. You will not be able to loot a belt or find hidden compartments in a quick loot. Quick Looting only while in-capped, cannot do inventory looting. - Inventory looting will be more indepth and only when coup de gra'd. This will involve looking in backpack and taking the belt and scabbard for example/ - Full loot will be on permadeath, then everything/anything you possessed is fair game to those that find it. Note: Coup De Gra is not perma-death, unless you are on the last tethers of your souls life. 3: Whip out that dagger and start butchering. If you have a cart then hope you have the strength to drag it onto the cart for bringing back to town for the butchers... I imagine levels will yeild different amounts. Low level you are likely to mess up skinning the bear and ruin a good chunk of the leather. Higher levels you skin it better etc. I get the feeling that there will be people who will push others into water to make them drown if there is permadeath from that. Does the ability to walk back to your body in the soul dimension still work if you drowned, or will you just immediately drown again? @Alex Working as intended. YOU are responsible for what you wear and where you wear it. Takes a little more thought to play this game than WoWCrap. Going for a boat ride? Dress light and carry less. If you really need to get something heavy across, go below deck, don't stand near the edge and be ready to fight. You should be skilled and armed to the teeth before you even try anything like that. Only in deep water. Beaches / Lakes / Rivers will have different mechanics to be forgiving to some degree. However this is why you need to be wary of your interactions... are you going to jump on a boat with 20 other PCs carrying your best gear with nary a concern? Only in deep water. Beaches / Lakes / Rivers will have different mechanics to be forgiving to some degree. However this is why you need to be wary of your interactions... are you going to jump on a boat with 20 other PCs carrying your best gear with nary a concern? Maybe as long as you're not fitted with heavy armor you can use a survival skill "swim" It's generally a good idea to learn to swim, and you get it automatically if your start village was near a lake or river.